You will refine and emphasize your awareness and appreciation of this energy field. You will expand your sensitivity of our body energetics and the effect of sound frequencies and its corresponding vibrations. You will develop your focus on the “power of consciousness”, the mental focus and inner attitude which is the base — the summation and the wholeness — of our method and our actions as a Sound Massage practitioner. The seminar contents expand the resonant capabilities and enable intuitive action based on intense personal experience in individual and group situations as well as the technical and theoretical level. 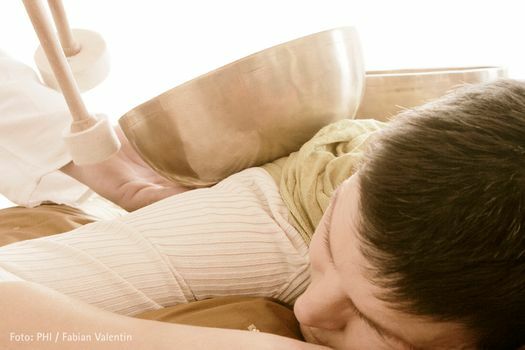 The curriculum incorporates the use of therapy “grade” singing bowls and gongs where the student will learn how to work in the human energy field to clean, strengthen and harmonize the subtle body, strengthening health in the holistic sense —as without, so within and vice versa. The aura, the human energy field, and it’s significance in sound work. Upon completing this level, participants receive a certificate of completion.